Each individual ferret has their own character, however one thing regarding ferrets is always the same – they love playing. The fact is, ferrets continue to be playful throughout their whole lives. A lot of people shell out loads of money for toys for their ferrets, in an effort to keep their furry companions entertained, however there is actually no need for it. To begin with, you need to keep in mind that ferrets are satisfied with the simple things in life. A paper bag will probably entertain them for several hours. A paper bag along with some scrunched up paper will certainly amuse them for two or three hours. Ferrets are incredibly stubborn. Should you tie a toy on to one end of a sturdy bit of cord, and fasten the opposite end to something which the ferret is unable to budge, they are going to devote days to trying to puzzle out the way to get the toy at the end into their den. Ferrets do not constantly need toys. Frequently they would be content just to be with you. You could play catch together or perhaps hide and seek. Additionally, you could use a piece of rag to play an energetic game of tug-o-war. Even though ferrets will likely be very pleased with their toys, they mainly want to spend time with you. You need to be careful when buying toys for your ferret. Under no circumstances buy a latex rubber toy, because they will definitely rip to pieces, and perhaps eat bits of the latex. Should this happen, there is a real risk of intestinal obstruction, which is the number one killer amongst ferrets. Toys made of fabric pose a similar danger, as the ferret will tear up the cloth. Hard rubber balls that bounce about are excellent toys. Rope toys are likewise very good. PVC tubing will amuse your ferret. You could place one end up on the sofa and enjoy watching him climb up onto the sofa and glide down the slide repeatedly. You could also take advantage of PVC tubing to make a labyrinth, with the help of treats along the route to keep the ferret moving. A cat tree is ideal for ferrets, provided that it does not involve them having to climb vertically or jump. Ferrets aren’t anywhere as good as cats at climbing or jumping. It’s also possible to make your own ferret tree and structure it so it is more readily manoeuvrable for ferrets. Keep in mind that just about anything may be a toy as far as ferrets are concerned, and you could also purchase Ferretone to attract him to things even further. 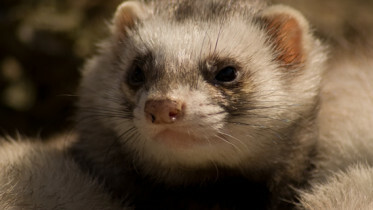 Ferretone carries an aroma which is somewhat attractive to ferrets, even if people cannot smell it. Whenever you think about Ferretone, just think about catnip for cats. To apply Ferretone to toys, just dampen a tissue with the Ferretone and wipe it onto the toy. The greatest delight for any ferret is another ferret, then you will have double the entertainment, however even so, they are still going to require some things to have fun with. Keep in mind the fact that ferrets are incredibly lively, and playing is essential for their mental and physical health. Toys do not necessarily need to be costly, but they are very important. 4 Comments on "Ferret Toys"
whether or not this submit is written via him as nobody else recognise such special approximately my problem. What’s up it’s me, I am also visiting this website daily, this web page is genuinely pleasant and the users are genuinely sharing nice thoughts.